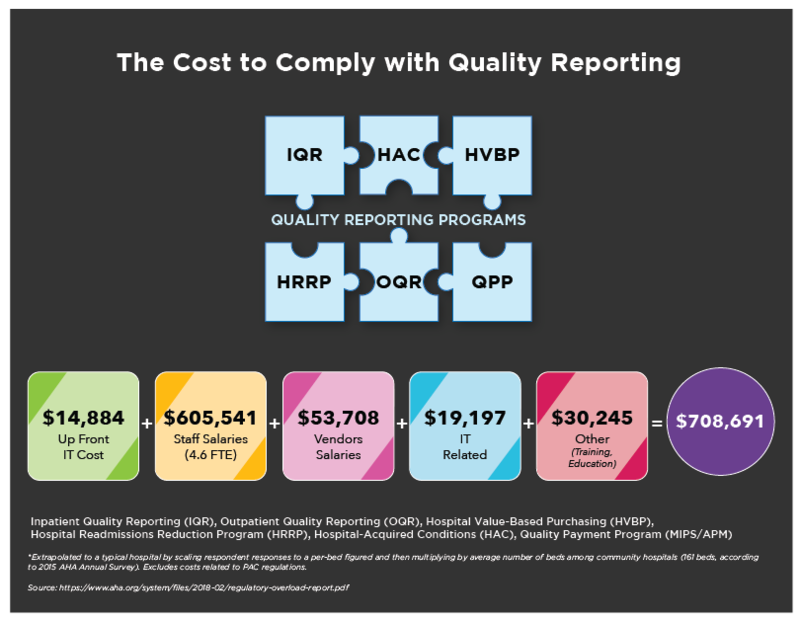 A report from the American Hospital Association pointed out that the average-sized community hospital (161 beds) spends nearly $7.6 million annually on the costs associated with regulatory compliance. Yes, you read that right! Specifically, for the Quality Reporting programs alone, almost 5 full-time employees are required. If you factor in staff salaries, IT costs and training/education, it amounts to $708,691 annually. Now, let’s pretend for a minute you decided not to meet your Quality reporting requirements. Did you know you could face a revenue loss of up to -8% to your hospital Medicare Part B reimbursements and -7% for your physician Medicare Part B reimbursements from these various regulatory reporting programs? Ouch! 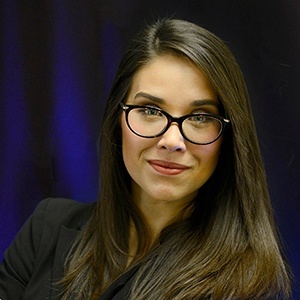 So what’s a health care professional to do? On the one hand you want to create a comprehensive program that improves the quality of patient care with lots of data at your fingertips to drive improvements. But that will obviously cost a lot of money to do well (see top image). On the other hand, you just want to get this data reported and checked off your list so you don’t get hit with a penalty (see second image). In a lot of organizations, simply meeting regulatory requirements becomes the top priority. And for good reason. 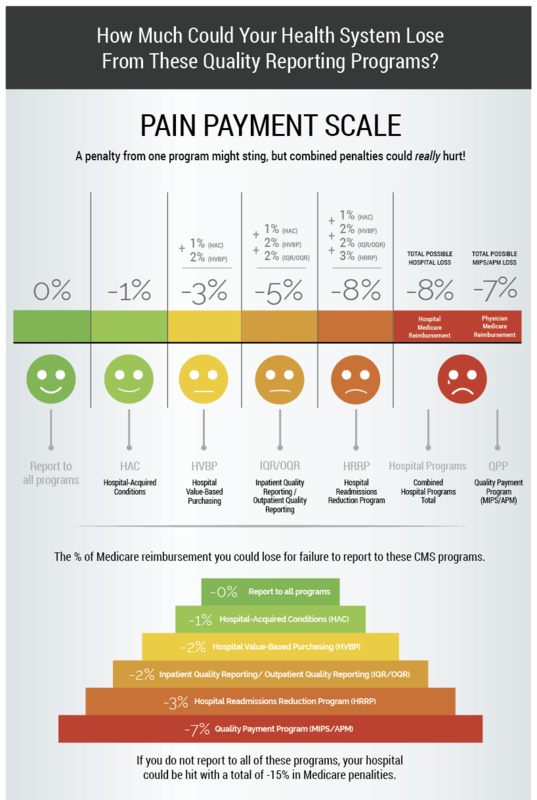 The amount of money that your hospital could potentially lose from an unsuccessful submission to CMS is unsustainable. From Medisolv’s perspective, we suggest you invest the money it takes to have a comprehensive quality program. When you do that, the regulatory reporting will end up being less of a stress for your organization. And if you use a vendor like Medisolv that will actually cut down on the costs for things like education (because we provide that to you) and FTE expenditure (because we help with the technical parts). 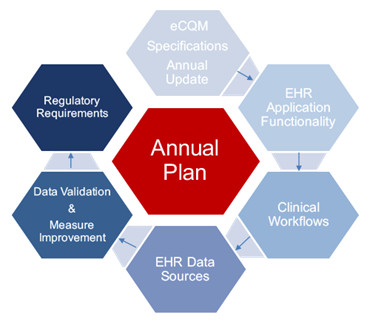 We work with our clients to create an operationalized quality program and take care of their submissions so that the reporting burden goes down and the focus on patient care goes up. We’ve explained this process in detail on a past blog, but essentially, this graphic helps you to understand what a comprehensive program should look like. Notice that this process is cyclical. It never ends. In the same way, your program should be in a constant state of evaluation and improvement. This process is one of the keys to making your program lasting and effective. If you’d like to learn more about how our clinical experts guide organizations along this process, send us a message. We’d be happy to chat.